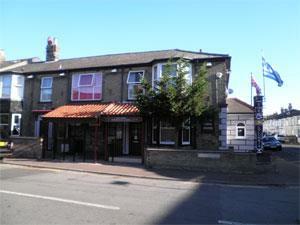 Wake up fresh as a daisy just minutes from your meeting in Great Yarmouth. If you're arriving in town late from your previous appointment or need to be on site at the crack of dawn for an early start the next day, we've got a great range of hotel and B&B accommodation to choose from for your business stay. Why not consider quality self-catering accommodation if your business stay is going to be a little longer? We can also help if you are looking for conference or group accommodation. In-house restaurant, night caps at midnight, rooms service at 3am, WiFi when you want it; choose the hotel that's going to suit you best from our range of graded hotel accommodation. Home from home comfort in contemporary guest accommodation or in a cosy B&B might be more your style, with a delicious Norfolk breakfast to set you up for the busy day ahead. If you're going to be in town for a bit longer, why not consider a self-catering appartment for your business stay? Linen provided, choose to eat out if you'd like, or chill out on your sofa with beans on toast. If you're looking for a superb hotel to serve you a nightcap at midnight, get room service at 3am or log on-line to research a brainwave at 5am, browse from our list of superb Great Yarmouth business hotels. If you're in town for a few days and you're looking for less formal guest accommodation, but still with all the facilities you'd expect, or a choice of home from home B&B's with all your creature comforts, check out our range of quality graded guest houses. Business travel isn't always as glamourous as some people might think, and sometimes after a few days or weeks on the road, all you want is to chill out on the sofa. Some business people are in the area for a few days and decide they'd rather opt for self-catering accomodation where they can eat out if they feel like it or cook for themselves. 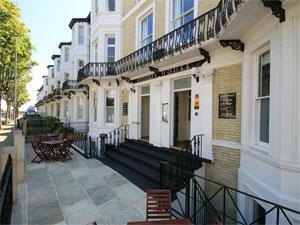 We have a lovely selection of graded appartments available for short stays. Make your business stay a comfortable one and choose the most convenient accomodation for you. 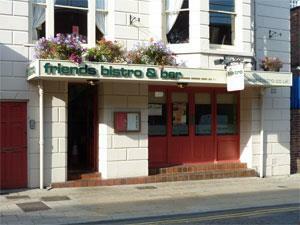 Friends Bistro & Bar, Great Yarmouth, serves a range of tantalising food to enjoy in house or to take away. Savour the ambience of this intimate fully licensed bistro, with regular themed and live music evenings. 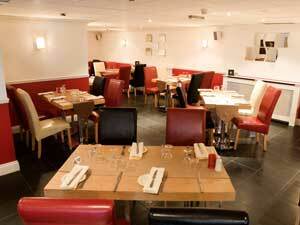 The Grill Restaurant, Great Yarmouth, located within the Comfort Hotel is a great choice for dining. With superb chef's daily specials and a high quality à la carte menu at very reasonable prices, The Grill welcomes you. 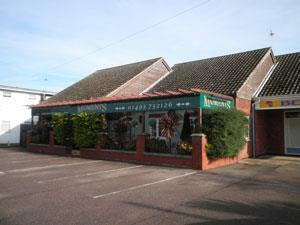 Browston Hall Restaurant, Great Yarmouth, offers a delicious carvery and a la carte menu for diners to enjoy. Whether you choose to be seated in the main hall, conservatory or the Orangery, you'll be delighted by the food and the service. A family run restaurant with unique views over the Trinity Broads, consisting of two superb dining areas; the Granary and the Gallery, serving exquisite home made food. Please book to avoid disappointment. Fishing available at this venue. 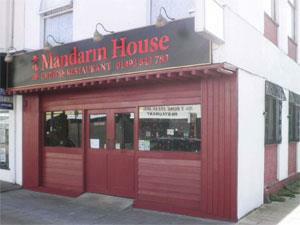 Mandarin House, Great Yarmouth, is a popular restaurant serving tasty 'all you can eat' Chinese buffet lunches and evening meals with over one hundred items to choose from. 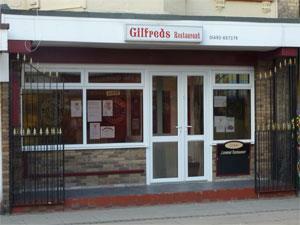 Gilfreds Restaurant, Great Yarmouth, is a great place to enjoy English and continental cuisine. With an impressive menu, superb service and a relaxed atmosphere, Gilfreds is perfect any time of day. The Columbia Toniponis Taverna offers an authentic and very hospitable Greek atmosphere in Great Yarmouth where the restaurant is renowned for fine dining and the finest Greek dishes available. Bar Bistro & Chicken Barbecue, Great Yarmouth, is a superb Portuguese bar & grill where you can enjoy a delicious hot meal, or treat yourself to a tasty snack or pastry from the patisserie & bakery. Eat in or takeaway, with outside seating. 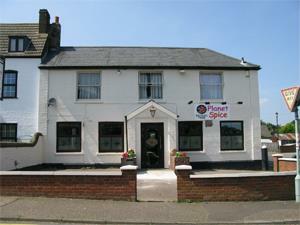 Planet Spice, located in the village of Ormesby St Margaret near Great Yarmouth, serves excellent authentic Indian cuisine for eat in and takeaway dining. 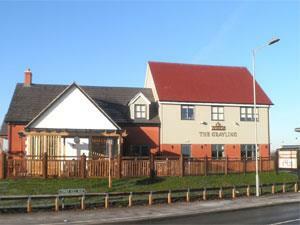 The Grayling, Great Yarmouth, a new carvery venue perfect for dining with family and friends with indoor & outdoor play areas for children. An excellent choice of Marstons cask ales and other beverages available. 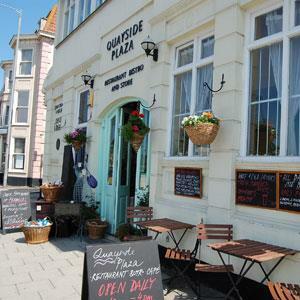 Quayside Plaza in Great Yarmouth is a friendly unique restaurant, serving delicious home-made cakes , local smoked fish, snacks and a mediterranean cuisine. 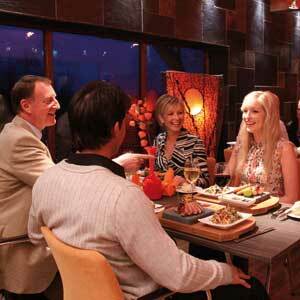 Popular theme nights twice a month with live music and a 4 course meal. 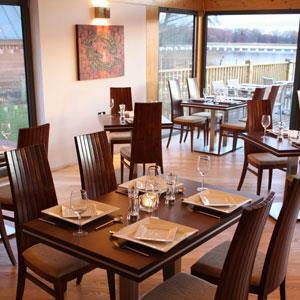 Fritton Arms located in Fritton Lake Country Park, near Great Yarmouth, is a superb restaurant where you can enjoy a wide selection of beers and wines and a fantastic seasonal menu in a stunning and informal setting. 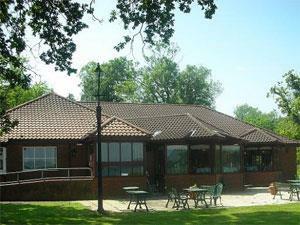 The Waterside is an elegant restaurant alongside Rollesby Broad. Choose to eat in the restaurant or relax under the heated terrace canopy a perfect setting for an important business lunch. 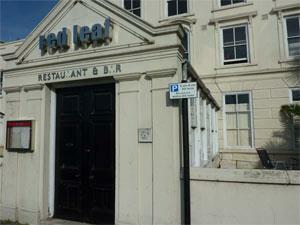 Red Leaf, Great Yarmouth, is a popular restaurant in the town centre serving delicious Japanese and Thai food. Whether for business or pleasure, the Red Leaf is a great choice. The lunchtime specials offer excellent value for money. Moments Restaurant in Scratby near Great Yarmouth is a delightful place to dine, a gem tucked away in this small coastal village. With an impressive menu and a la carte dining, Moments is great option for any occasion. 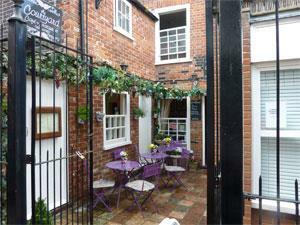 The Courtyard, Great Yarmouth, is an intimate place to dine. Tucked away in one of Great Yarmouth's historic row houses, this unique and delightful restaurant will set your taste buds in motion. The Black Rock Grill, Great Yarmouth, located with the Potters Leisure Resort in Hopton, offers a unique dining experience in a stylish and contemporary setting overlooking the wonderful Norfolk coastline. 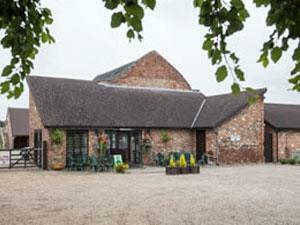 Priory Farm Restaurant, Great Yarmouth, is a superb restaurant located in the lovely village of St Olaves and set in the grounds of a ruined priory. Prepare to be greeted by the resident llamas on your arrival and enjoy the fine menu. 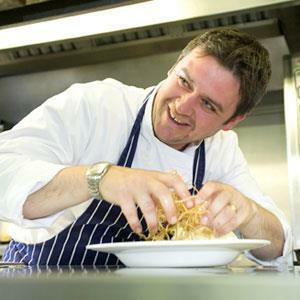 The finest ingredients are used at Cafe Cru in Great Yarmouth, to prepare and present our modern British food. And our philosophy is simple: don't fuss with the food, let the quality shine through. 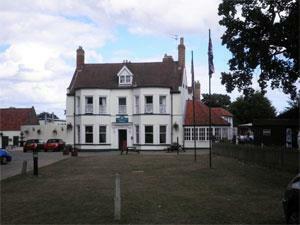 Copper Kitchen, Great Yarmouth, an AA 2 Rosette and Michelin Good Food Guide acknowledged venue. Bursting with warmth and character, the modern lounge-bar and restaurant offer a place to escape, chat, dine or do business in style. 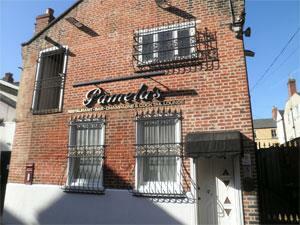 Pamela's Restaurant, Bar & Cocktail Lounge in Great Yarmouth, open Wednesday to Saturday evenings serving fine wines, cocktails and distinctive food. Dress code observed. Live Jazz on Friday evenings and Live DJ on Saturday evenings. 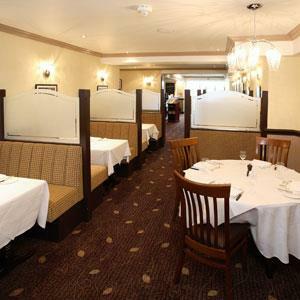 Strollers Restaurant, Great Yarmouth, is a spacious contemporary eatery, offering fine dining combined with a comfortable and relaxed atmosphere. 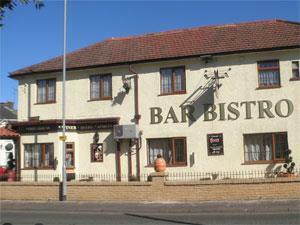 A popular venue, perfect for any occasion. 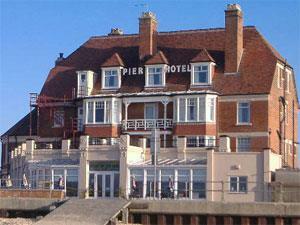 The Pier Restaurant, Great Yarmouth, is a delightful eatery at the Pier Hotel with stunning views overlooking the sea. Superb seasonal menus prepared with locally sourced ingredients wherever possible are matched with great service. 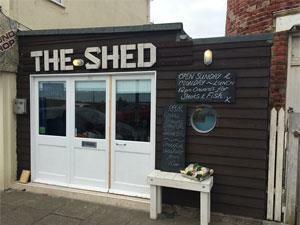 The Shed in Gorleston-on-Sea near Great Yarmouth, an initimate new bar & grill specialising in seafood, steaks and Mediterranean cuisine. Located on the Quay next to the old lighthouse. Email us to order your copy of the Great Yarmouth Business Directory. 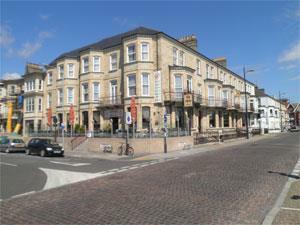 Looking for property to buy or rent in Great Yarmouth? Search our commerical property database online. Always dreamt about setting up your own business? Go for it with advice and support from enterpriseGY.